The first Irishman to play the two droned warpipe for a Pope was Eammon Ceannt,a Gaelic League member,who was executed for his part in the Easter Rising of 1916. 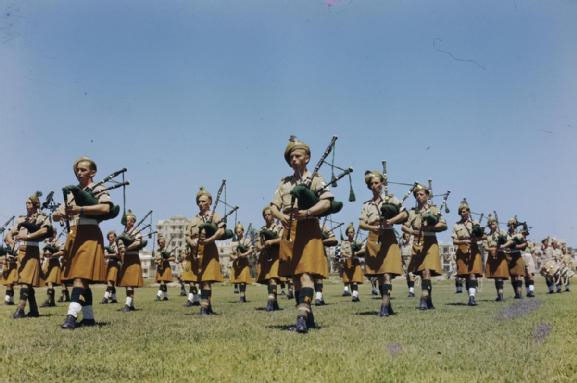 He was married in Rome in 1908 wearing a saffron kilt and it was the Silver Jubilee of Pope Pius X. Ceannt led the Irish athletes onto the field for the Jubilee Games playing his warpipe. Later he played in St.Peter's Square and was summond to play for the Pope and some Cardinals in a private session. 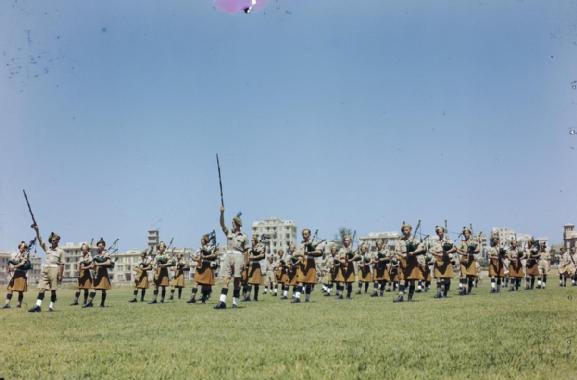 During WWII the Irish Brigade (38th) were involved in heavy fighting in Italy. 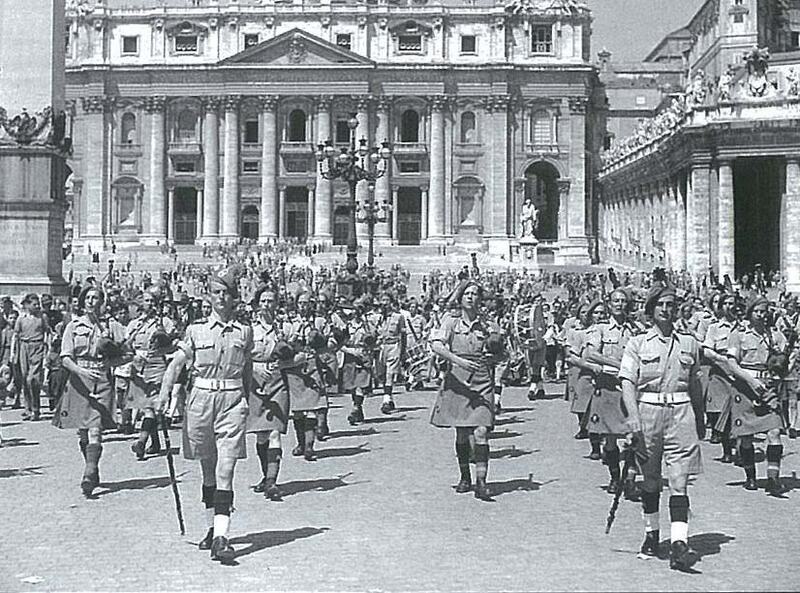 During a break in fighting it was decided by Brigadier Pat Scott to go along with the brigade's Chaplain Fr Dan Kelleher to visit the Vatican and arrange an audience with Pope Pius XII. The Pope thought that it was a wonderful idea and the plans were made. 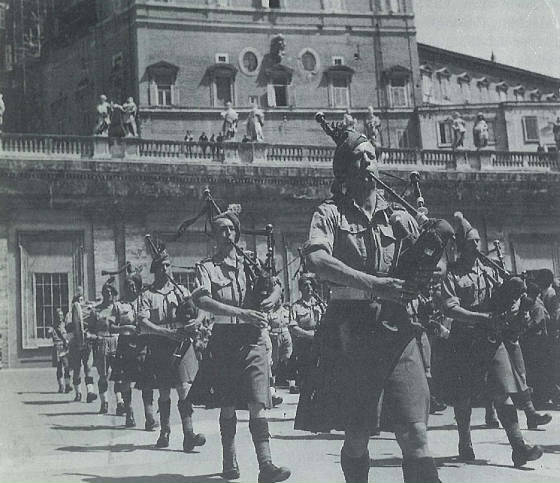 On the morning of June 12th, 1944 at 8:45 the Irish Brigade marched into St.Peter's Square with the Pipes and Drums playing "Wearin of the Green". At 9 o'clock His Holiness Pope Pius XII entered and addressed the party in English drawing attention to the role of the Irish in spreading the Faith in all parts of the world. 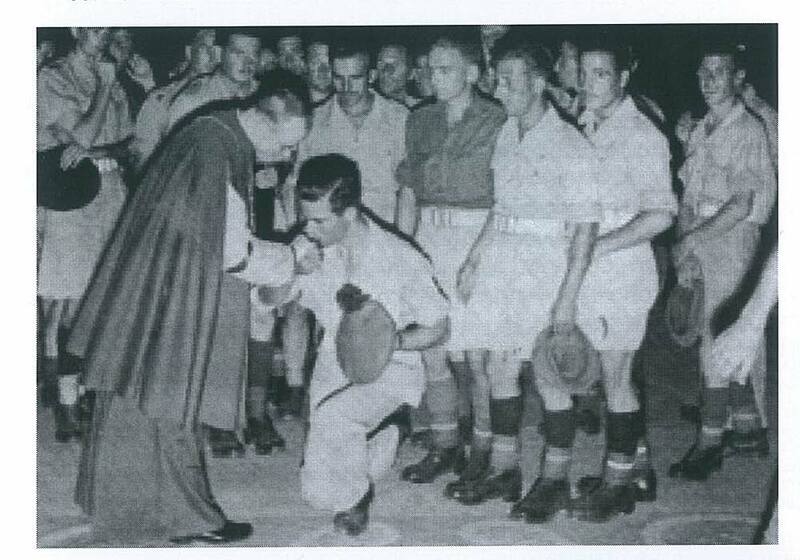 He gave the Brigade a Papal Blessing and then Pat Scott presented him with a scroll commerating the visit. The Pope then spoke to each man presenting him with a Rosary. Scott then asked if he would like to hear the pipes. The Pope answered Yes and the lads struck up the pipes and played a medley of Irish tunes. The Pope expressed his gratitude as the band struck up the "Minstral Boy" as the Pope left the room to great cheers including a "Faugh a Ballagh" one. After a special Mass celebrated by Fr Dan Kelleher the band beat retreat on the steps of St.Peter's. This was enjoyed immensely by the many Irish priests present who were mad with excitement shouting out their favorite tunes. The tune the "Boys of Wexford" seemed to be their favorite. As both a Catholic and a Warpiper this event has special meaning for me. Below are some photos of this great event. 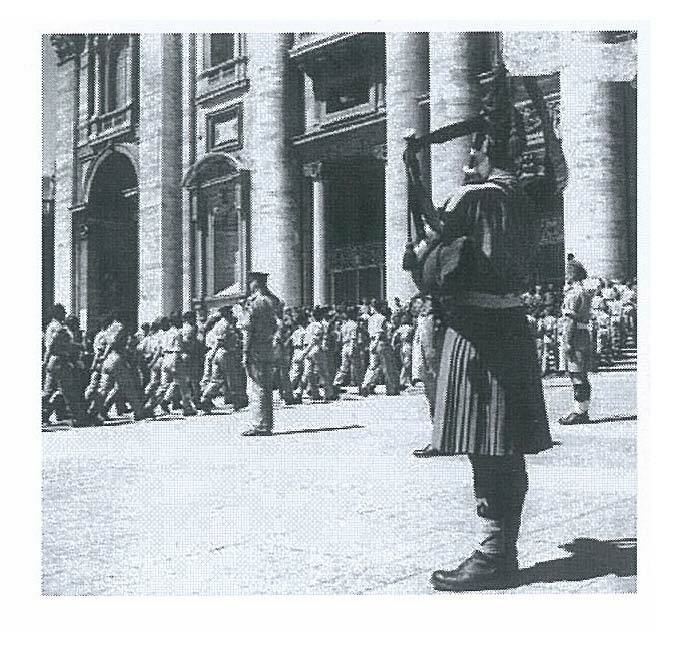 Above, Piper Brennan leads the Fusiliers into St Peter's Square. 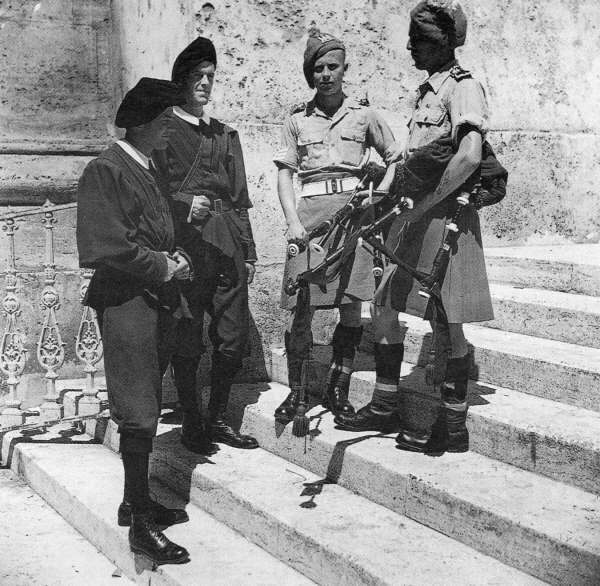 On the left is an Inniskilling Fusilier piper and a piper from the London Irish is on the right having a chat with the Vatican Swiss Guards. Below two pics, practice for the big day.